SEP 1989 XJ6 4.0 and Sovereign 4.0 launched. SEP 1990 XJ6 3.2 launched with 3239cc engine. All models now have 'Cat'. Sports pack optional on all models. SEP 1991 Electrically adjustable front seats on 3.2 and 4.0. SEP 1992 Revisions include new front spoiler, detailed engine improvements, integrated security system, and extensive interior changes including 8-speaker audio system and driver's side airbag. OCT 1992 Special 'Insignia' finishing and trim available at extra cost, priced according to specification including airbag. MAR 1993 XJ12 6.0 (318 bhp) launched with electronic 4-speed automatic, limited slip differential, revised suspension and full luxury specification including airbag. APR 1993 XJ6 3.2S launched with uprated suspension, 5-spoke alloy wheels with low-profile tyres, and special trim. SEP 1993 XJ6 4.0S launched with uprated suspension, 5-spoke 16" alloy wheels, colour keyed radiator grille vanes and mirrors and special trim. Revisions to all models include driver's airbag, self-dipping rear view mirror and new column stalk controls. High-security engine immobiliser system optional. 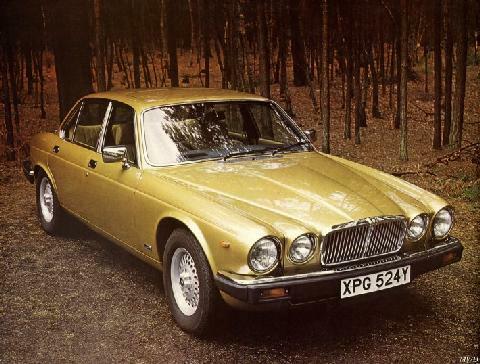 FEB 1994 XJ6 3.2 Gold launched: alloy wheels and leather trim.